Hanoi is a grey place at this time of year, with fog and pollution hanging low over the city. But standing out from the drabness: swarms of blue, purple and yellow hair. 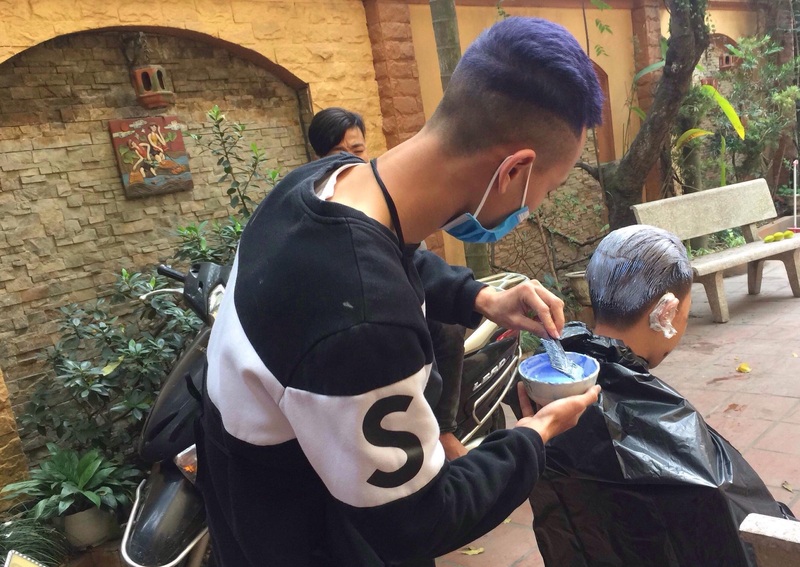 Every year, right before Tet (Lunar New Year), the Blue Dragon kids dye their hair as a way of entering the new year with something different and striking. Their hair-dos can be pretty wild and wonderful. Of course, as soon as Tet is over they have to shave it all off in order to be allowed back to school! A special touch this year is that one of our older boys, “Than”, has just graduated from a hair styling course and has volunteered to colour the hair of all the other boys. The excitement as Tet draws near (February 5!) is palpable. And the coloured heads of Blue Dragon bring it all to life. What a hoot’! Love the cocept.